New Delhi : As the festival season is on, shopping season is also on its peak. For the car lovers with low budget, here are top five hatchbacks they can opt to sooth their need. 1: Renault Kwid: The car was launched about a month back, seems to be the first choice of many both for two reasons; First being a big time money saver and second in terms of features and space. 2: Maruti WagonR: Since when the car was launched in the market, its value for money factor had made it a preferable choice of many. Even with new design and enhancements, the car easily fits into a budget of less than Rs 5 Lakh. 3: Chevrolet Beat: When it comes to low budget sporty hatchbacks this car shines the most amongst all. Sit inside and what you get is the feeling of sitting in a sporty car on Indian roads. 4: Honda Brio: For those who wants brand value even at a less amount, Honda’s this offering will definitely make your eyes startle. This little car is power beast with smooth drive experience. 5: Ford Figo: The brand new upgraded version of Figo has been launched and is quite impressive on paper. They say Ford is a bit expensive when it comes to maintenance; but, if that doesn’t bother you much then this comes as a quite impressive car in the market. 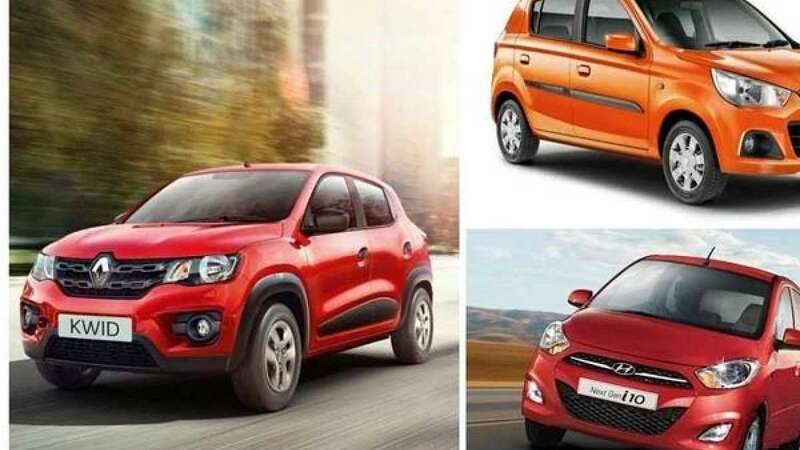 Now, we have highlighted top five choices but this is not it there are many options like Maruti Suzuki Alto K10, Hyundai i10 and many more.